The Heart and Stroke Foundation of Canada states that around 45,000 Canadians will suffer from sudden cardiac arrest (SCA) every year and 2.1% of Canadians have a history of heart attacks. With huge numbers like that, we need to be prepared for SCA at the workplace too. 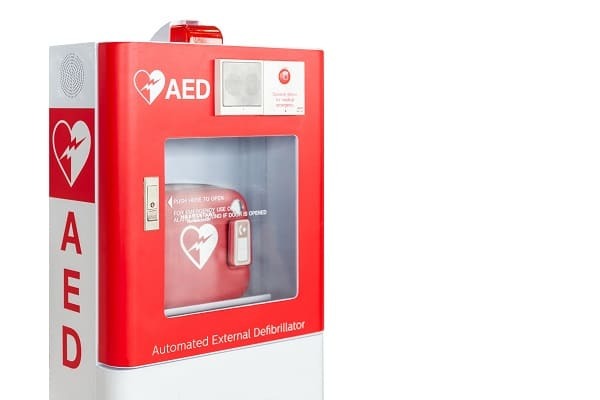 In come AEDs… They are relatively affordable, user friendly, and if used correctly can save lives. Let’s go over the in’s and out’s of these little lifesavers. lightweight, portable device that delivers an electric shock through the chest to the heart. The shock can potentially stop an irregular heart beat (arrhythmia) and allow a normal rhythm to resume following sudden cardiac arrest (SCA).” What makes them so user friendly is that the computer in the AED will tell you if the victim needs the shock and a prerecorded voice will guide you through it. Training on proper use of AEDs is highly recommend, but you should at least be familiar with how to use them. If not, talk to your safety crew and/or foreman. Why are they so important? 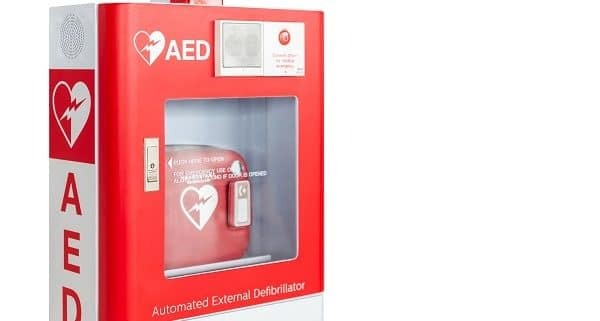 According to the government of Canada, a victim’s chance of survival are increased to 75% or more if CPR or defibrillation is started within the first 1-3 minutes after cardiac arrest. Not everyone is trained in proper CPR and it’s not always as effective. Using an AED can take some of the guesswork out of resuscitating the victim and could be more effective. Come back tomorrow and we’ll go over how to keep your AED ready to go.